Tile adds an extra layer of protection to any wall or floor and are used in many rooms where water and steam are present. Covering walls with tile is a slow, sometimes laborious, process. 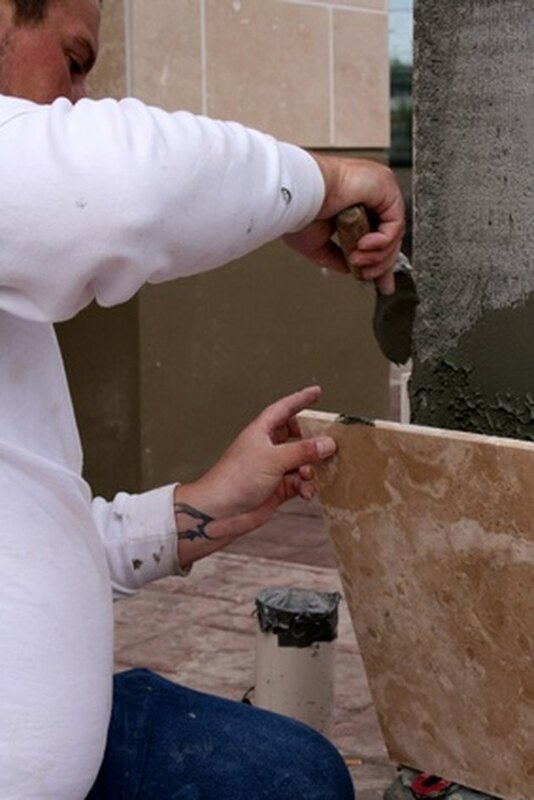 When done right the tile will completely cover and protect the drywall beneath from moisture thereby extending the life of the wall and room. Estimating how much tile you need for a project is a simple equation that, once learned, will allow you to know what it will take to complete the job. Measure the base of the wall (at the top of the tub) with the tape measure. Record this number in inches with your pencil and paper. Measure the height of the wall at the tallest corner. Record this measurement in inches on your paper. Multiply the length by the width of the wall. 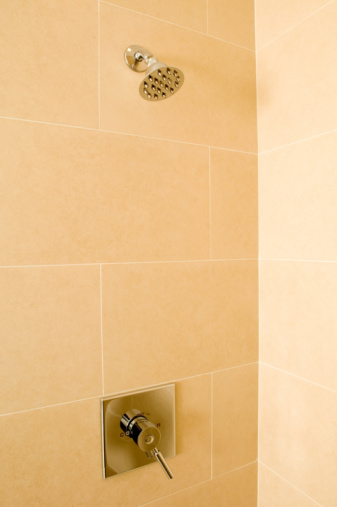 A wall 36-by-72 inches tall (common in tub surrounds at one end) has an area that is 2592 square inches. Measure the size of the tiles you want to use. A 3-by-3 inch tile is 9 square inches. Divide the area of the wall (2592 square inches) by the area of an individual tile (9 square inches) giving you the number of tiles required for that surface (288 tiles needed for the sample wall). Measure each wall of the tub surround. Use the formula to determine the number of tiles needed for each. Add these totals together to determine how many tiles you will need for your project.